Ian established the firm with over twenty years of corporate finance experience and has completed over 250 deals. 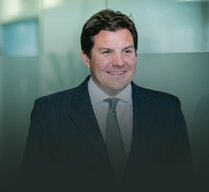 He is well known to both the corporate and private equity communities and has advised on transactions ranging from multi-billion pound cross border mergers, to deals at the smaller end of the spectrum. Prior to founding the firm in 2005, he was Chief Executive of Deloitte Corporate Finance. Ian is an avid sports fan and a non-executive director at The Oval. Stuart joined the firm at the start, in 2005, and has over twenty years experience in corporate finance advisory. 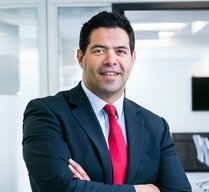 Since joining the firm he has developed the management advisory service completing over 150 transactions. Tom joined the firm in 2006 having previously been finance director of a group of privately owned travel services businesses. Prior to this he worked in the private equity lead advisory team at KPMG. Tom has closed over 100 transactions since joining the business, advising management teams in buyouts, restructurings and public-to-private transactions as well as owner managers selling their businesses. He has a BA in Business Studies and Information Systems from the University of Sheffield. John joined the firm from Ernst & Young where he qualified as a chartered accountant. 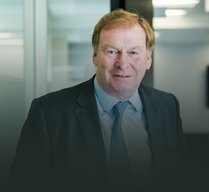 John has a broad range of experience across management advisory and M&A work with over fifteen years in the financial services industry. John holds a Bachelor of Science in Computer Science and a Masters in Accounting & Finance from the University of Southampton. John also holds the Series 7, 24 and 79 licenses. Eileen’s contribution to the team is based on many years of practical corporate finance experience. 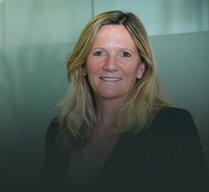 She has completed numerous acquisitions and disposals and worked extensively with private equity funds, with a specialism in healthcare. She has a degree in Biological Sciences and worked for seven years in the pharmaceutical industry. She then completed an MBA at London Business School, prior to moving into Deloitte Corporate Finance, where she became a Partner. Eileen worked in an executive capacity in the early stages of Jamieson before taking on the role of non-executive Chairman. Mike joined Jamieson at the start of 2019, undertaking the role of US Chairman and Managing Director. Prior to joining Jamieson, Michael was a senior partner at the international law firm of Proskauer Rose, where at various times he co-chaired the Employee Benefits and Executive Compensation practice and chaired the Tax Department. 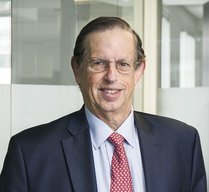 Mike has over 40 years of experience and knowledge in the executive compensation and employee benefits areas, where he frequently represented companies, boards and senior executives in all types of matters, including executives and management teams in private equity deals and other merger and acquisition transactions. 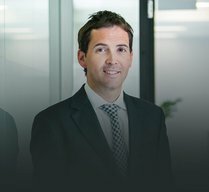 José is our JV Partner in Spain, and is a seasoned financier with more than twenty years experience in Private Equity and Investment Banking. 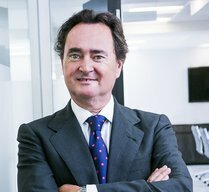 Prior to Jamieson, Jose spent thirteen years at Bank of America, latterly as MD and Head of Corporate and Investment Banking in Spain, before moving into PE with ABN AMRO Capital as Co-head of the Spanish team. Since 2010 he has worked as an independent consultant advising on corporate strategy and restructuring. José has a BS in Economics and an MBA from IESE and The Wharton School. Felix is a partner at MPTJamieson representing the brand in Germany. 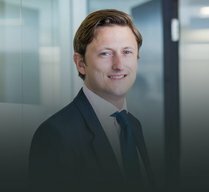 Felix has been a Managing Partner of MPTransaction GmbH since 2008. 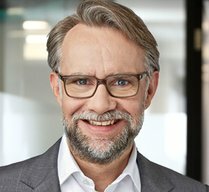 From 2001 until 2007 at Cinven, latterly Managing Director of Cinven GmbH. Prior to that he was at Morgan Stanley Investment banking (Mergers & Acquisitions) and has a degree in Business Administration from Universität Passau (Dipl. Kaufmann). Karin is a partner at MPTJamieson representing the brand in Germany. Since 2013 Karin has been a member of the supervisory board of Mahle GmbH / advisory board of MABEG e.V. 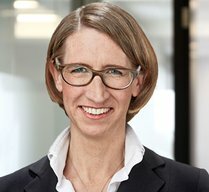 Karin has been a Managing Partner of MPTransaction GmbH since 2008. Prior to that Karin was a Managing Director at Cinven GmbH and worked for Arthur Andersen Business Consulting and Hewlett Packard. Karin has a Business Administration degree from Goethe Universität Frankfurt a. M. (Dipl. Kauffrau) and International Business Certificate from TSC, New Jersey. 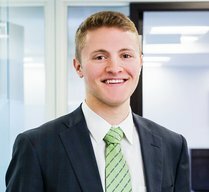 Evan joined the firm’s US office in 2014 from KLR Group, where he was part of the Natural Resources group. He has over four years of experience providing management teams with strategic advisory and capital raising services. Evan graduated with a Bachelor of Business Administration in Finance, Investments and Banking from the University of Wisconsin-Madison. He holds Series 7, 63, and 79 licenses. Sarah joined the firm in 2014 as Operations Manager, responsible for the compliance, IT, accounts, and administrative functions of the business. 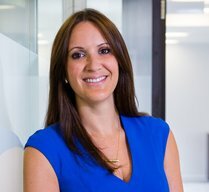 Sarah has over fifteen years of experience in operations, having previously worked in the pharmaceuticals, media and financial services industries in the US, UK and Middle East. Sarah graduated with a BSc hons degree in Biological Sciences from Manchester University. Andrew joined the firm from Deloitte where he was working in the Business Services Corporate Finance Advisory team. 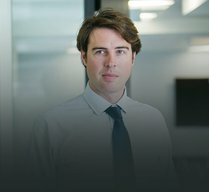 Andrew has ten years working as corporate finance practitioner advising management teams, private equity houses and corporates on a broad range of transactions. Andrew trained and qualified as a Chartered Accountant and is a graduate with a bachelor’s in Economics from The University of Manchester. Jonny joined the firm from Grant Thornton, qualifying as a Chartered Accountant in 2007 before joining their Corporate Finance team. He has worked with numerous Boards and Management teams advising in a buy-side, sell-side and restructuring capacity. Jonny has also carried out a secondment to Lloyds Banking Group, working as part of their Business Support Unit investment team helping to structure capital reorganisations. He obtained a Bachelor of Arts in Philosophy from the University of Durham. Jonny also holds the Series 79 licence. Cat joined the company in 2017 and is our Office Manager and PA.
She joins us with a background in communications; having worked in PR for four years before making her move to become a Personal Assistant. Cat graduated with a degree in Business Studies from the University of Exeter. Gus joined the firm in 2016, providing research, analysis, valuation and modelling work to support the team in transaction execution. Prior to Jamieson Gus worked at Beauhurst, a research company that specialises in tracking high growth businesses and their investors. Gus graduated with a BA in History from the University of Oxford in 2015. Stephen joined the Jamieson team in January 2016. 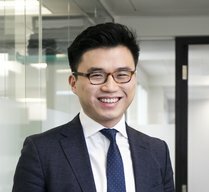 He has over six years’ experience of advising on mergers and acquisitions and private equity backed transactions, including acting for leading private equity houses and management teams. 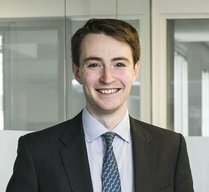 Stephen is a qualified solicitor and has previously worked in the private equity teams at Latham & Watkins and Dickson Minto. David has 10 years corporate finance experience and has completed over 70 management advisory projects since joining the firm over 6 years ago. 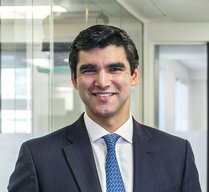 He has spent his career advising management teams and owner managers in private equity backed transactions. He is a qualified accountant and previously worked at the London office of Barclays Capital and latterly at Cavendish. Daniel joined Jamieson in 2018, providing research, analysis, modelling work to support the team in transaction execution. 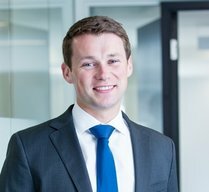 Prior to Jamieson, Daniel has worked at Goldman Sachs in both London and Frankfurt as part of their Regulatory Capital/Credit Risk Team. Daniel qualified as a Chartered Accountant at Goldman Sachs and graduated with a BSc in Politics & Economics from the University of Bath in 2014. 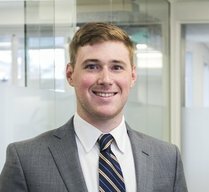 Ian joined the firm’s US office in 2018 and provides research, analysis, valuation and modelling work to support the team in transaction execution. Prior to Jamieson, Ian worked at Credit Suisse as a member of the Capital Stress Testing team and the Credit Suisse Asset Management Finance group. Ian graduated in 2015 with a BSc in Mathematical Economics from Wake Forest University. Ross joined the firm in 2013 and provides research, analysis, valuation and modelling work to support the team in marketing and transaction execution. 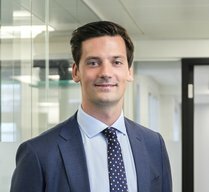 He previously worked for Societe Generale in their UK Coverage and Investment Banking team and Cinven, where he gained experience on both the new investments and portfolio sides of the business. 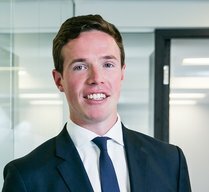 Jack joined Jamieson in 2017, providing research, analysis, modelling work to support the team in transaction execution. Prior to Jamieson, Jack has worked at EdirectInsure Group as a venture development analyst in Hong Kong, and at Silicon Valley Bank as part of their venture and growth capital team in London. Jack graduated with a MSc in Management from Imperial College London and holds a BSc in Accounting and Finance from the London School of Economics and Political Science. 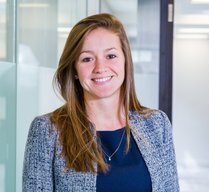 Laura joined Jamieson in 2016, providing research, analysis, valuation and modelling work to support the team in transaction execution. 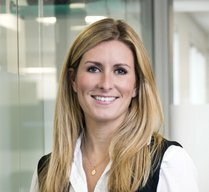 Prior to this she has worked as an Investment Analyst at The Wisdom Council, and at Schroders Investment Management as part of their Multi-Asset Investment Team in both London and New York. Laura graduated with a BSc in Economics & Accounting from the University of Bristol.